David is unique as the only man in Britain to be a Fellow of both the Marketing Society and the Chartered Institute of Marketing while also being a Liveryman of the Worshipful Company of Marketors and to have been elected to the UK Hall of Fame for Marketing. 2010 - Elected Fellow of Chartered Institute of Marketing (FCIM) in 2010. 2006 - Admitted as a Freeman of the City of London. 1995 - Elected to the Marketing Hall of Fame. 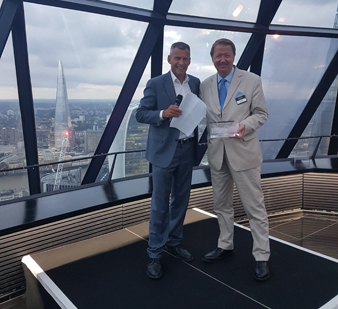 Previous winners included Sir Alistair Grant, Sir Geoffrey Mulcahy and Sir Martin Sorrell. 1995 - Elected a Fellow of the Marketing Society and a Lifetime Fellow of the Royal Society of Arts, Manufactures and Commerce. During his ten year period at Sony he won many awards from top management for excellent management. 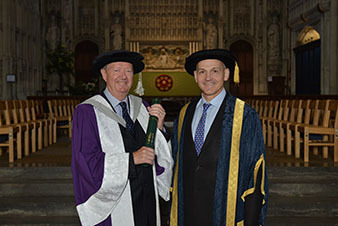 Receiving Honorary Fellowship of the Marketing Society from Martin Glenn, President of the Society and CEO of the FA.